Fiddle leaf figs, also known as ficus lyrata, are a variety of flowering plant with large, waxy, dark green leaves shaped like violins, giving them their distinctive name. They are very popular as ornamental trees in outdoor gardens but are also frequently grown as houseplants. Though capable of growing up to fifty feet tall and producing fruit when wild, the houseplant varieties stay shorter and produce no fruit. Tall, but not too tall. Sculptural but not cluttered. Incredibly popular with interior designers, bloggers, and everyday homeowners alike. They’re slightly finicky but easy enough to care for if you’re willing to do the research needed to learn what helps keep them alive. 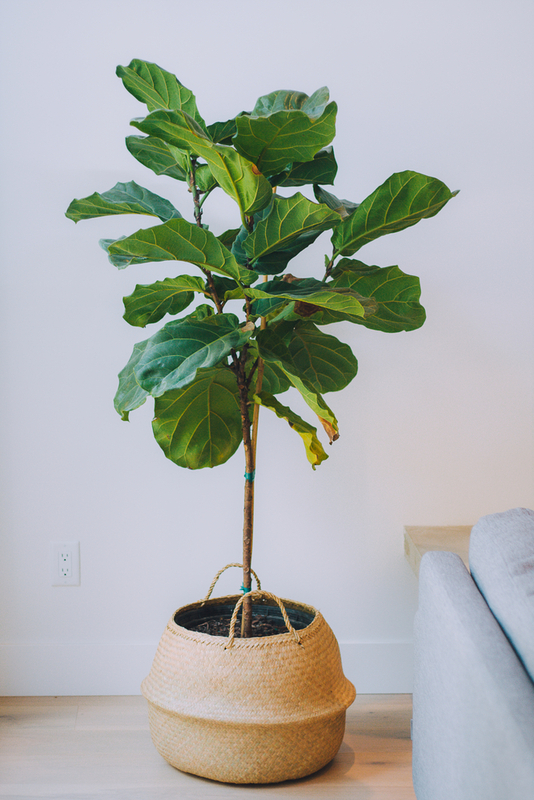 A fiddle leaf fig tree is perfect for the homes of Minnesota and St. Paul residents who are interested in having houseplants that are as impactful as they are easy to care for. Live fiddle leaf fig trees enjoy bright and consistent light, so ideal indoor placement is near a sun-facing window. They like still, warm air so keep them away from areas that are especially drafty or breezy. The ideal type of soil for this plant is peaty and rich, but well-drained. They typically need to be repotted at least once per year because if their roots get crowded, they will push through the drainage hole of the pot they’re in. Once you’ve brought one into your home, only water it when the soil is dry to the touch. Water it completely and then wait until it has dried out again before rewatering. They are vulnerable to some types of pests including mites, aphids, and whiteflies. If you have one in your home, you’ll need to inspect their leaves regularly. Signs that your plant has been infected include leaves turning yellow and dropping off. Fiddle leaf figs are sensitive to change. It will take yours some time to acclimate to it’s new home so be patient and give it attention. Kind of like a moody teenager, it needs space and attention at the same time. An indoor fiddle leaf fig, when thriving, can grow to six feet or taller. Make sure to wipe it’s leaves with a cloth soaked in warm water regularly. If it’s leaves get dusty, they won’t be as capable of soaking up sunlight, so they’ll in turn be less likely to grow as much as they’re capable of. 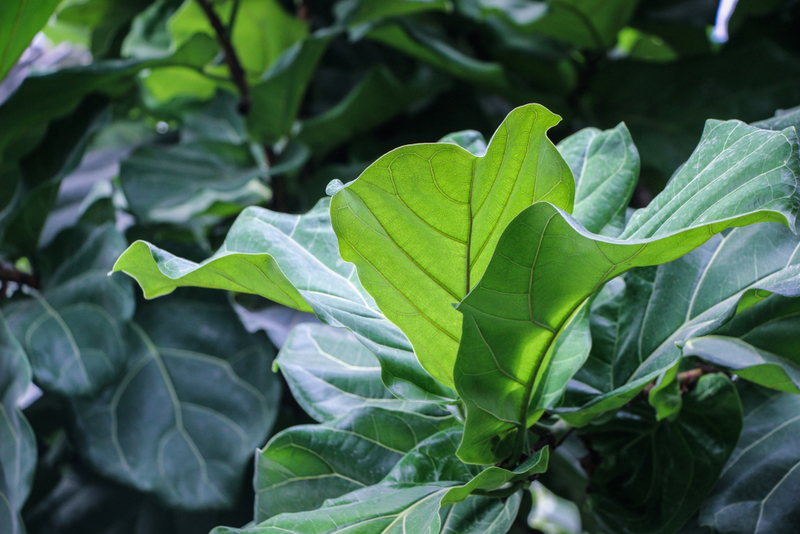 Stop in today to one of our retail locations to take a look at the spectrum of beautiful fiddle leaf figs we offer and talk to one of our service professionals about the variety that’s best for your home.